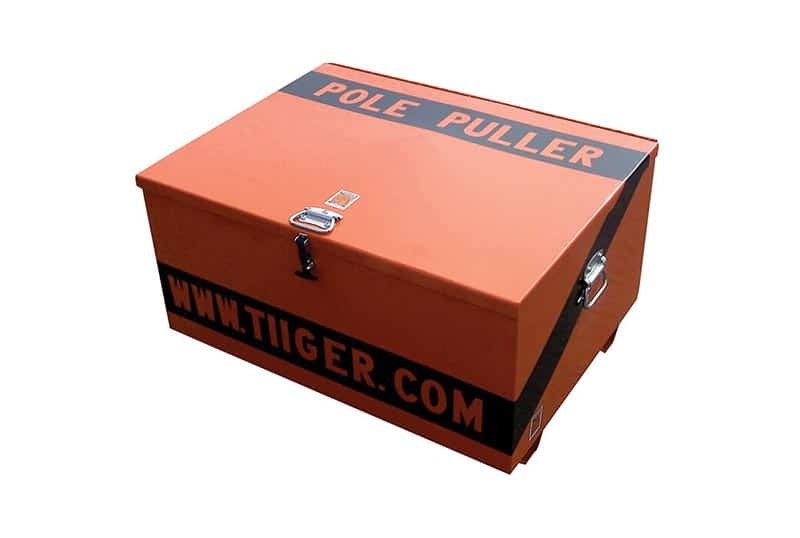 At 57 pounds, TiiGER's Pole Puller is the lightest and safest on the market. 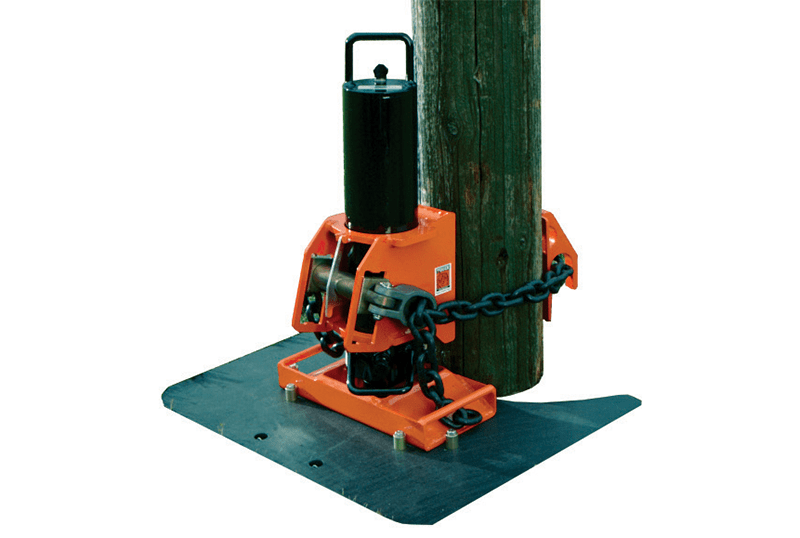 The 4001D Pole Puller utilizes a swivel and back plate combined with a chain for maximum grip as the hydraulic cylinder removes the pole. 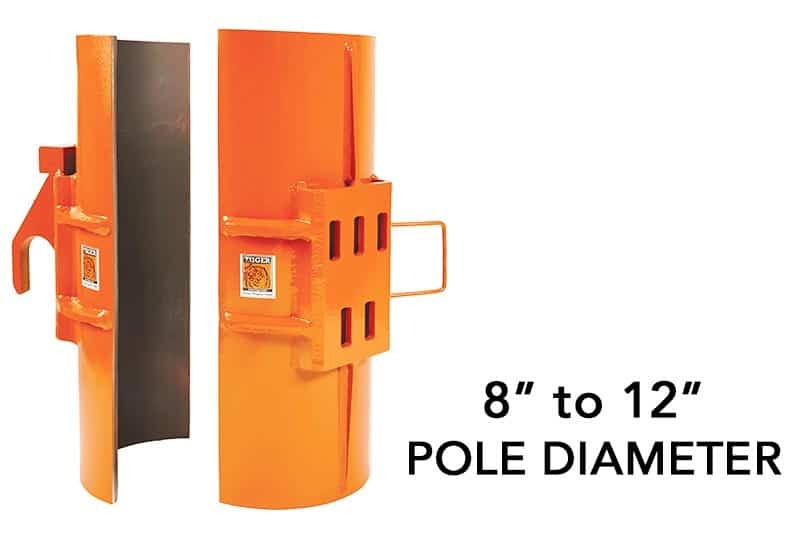 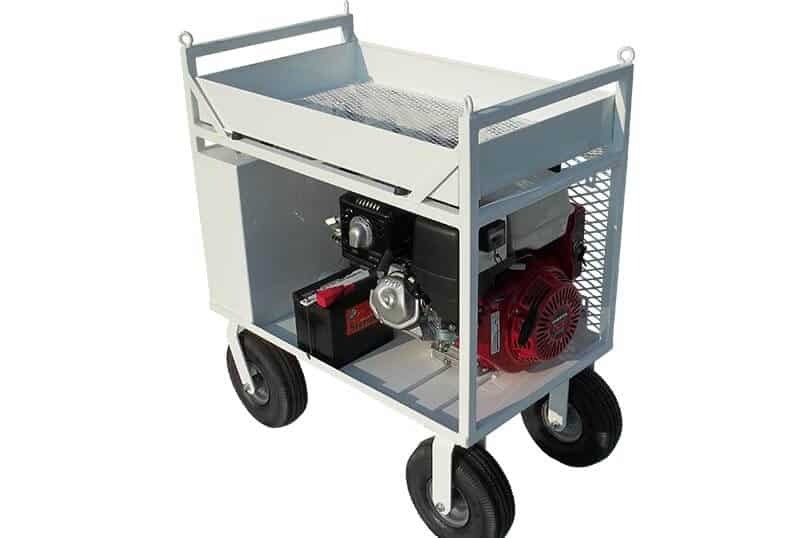 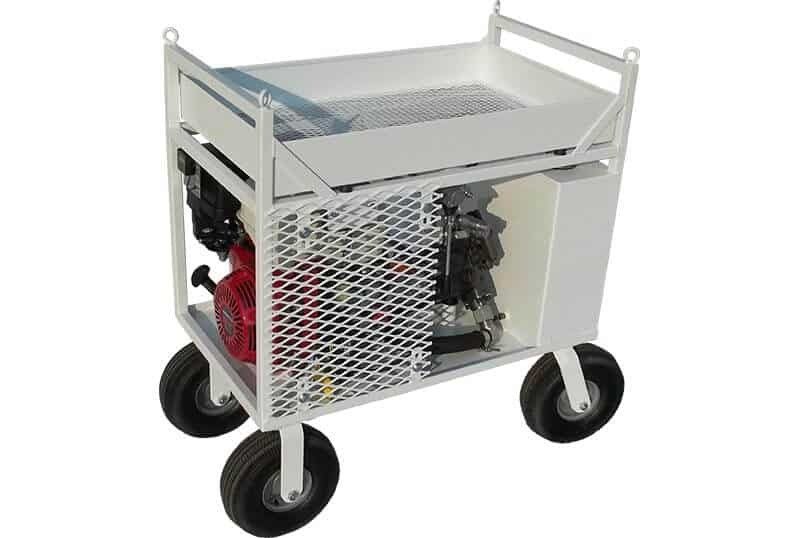 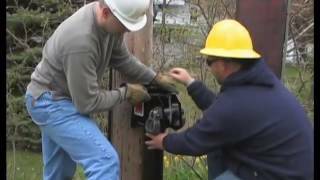 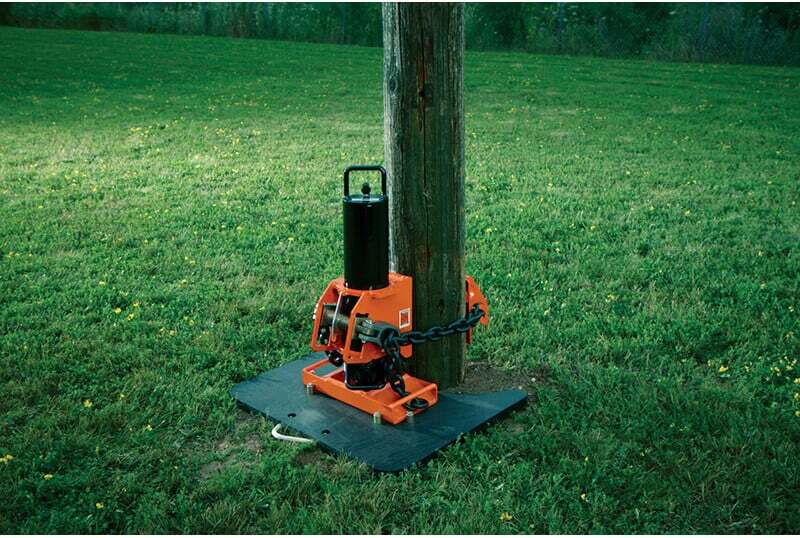 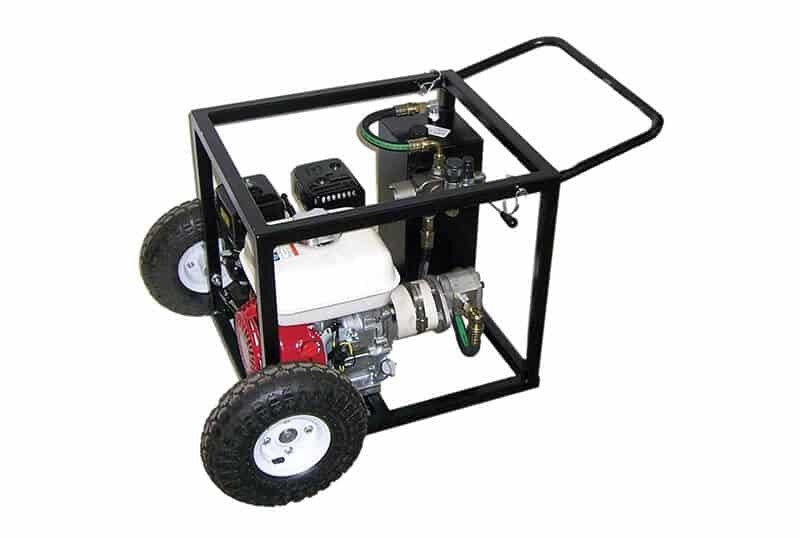 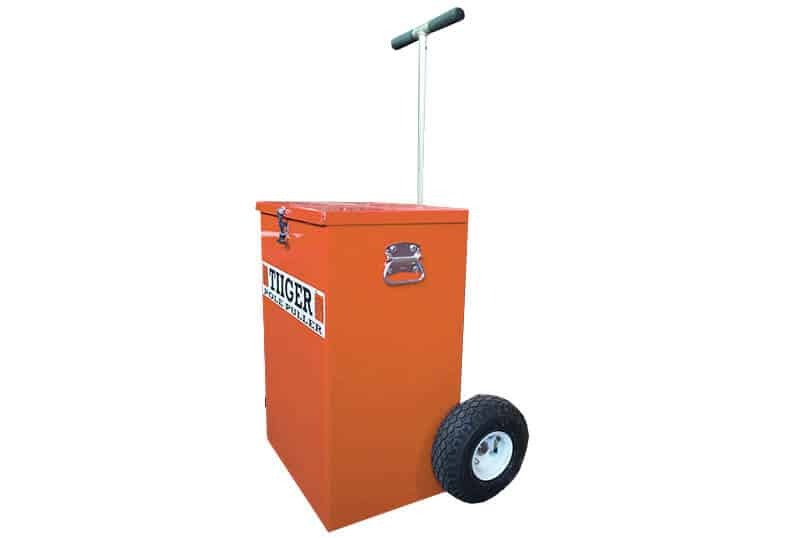 The pole puller can be disassembled for easy transport and storage. 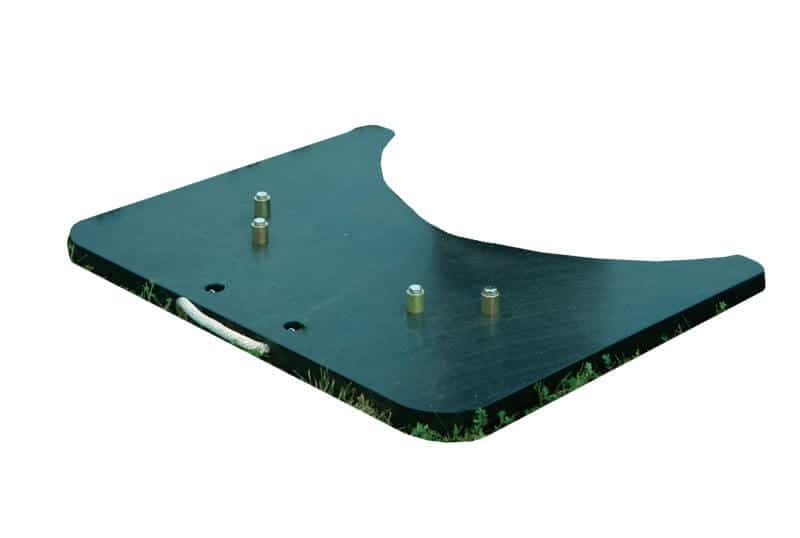 The base plate is designed to provide for the lowest possible center of gravity, swivel and hook assembly allow for pre-tensioning of the chain and a reduction of stress on the chain. 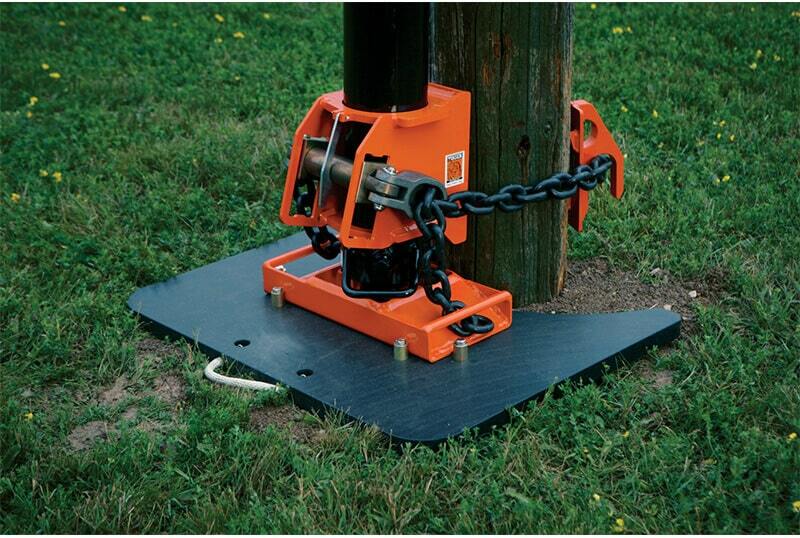 A Back Plate prevents chain roll-up resulting in the maximum lift per stroke.